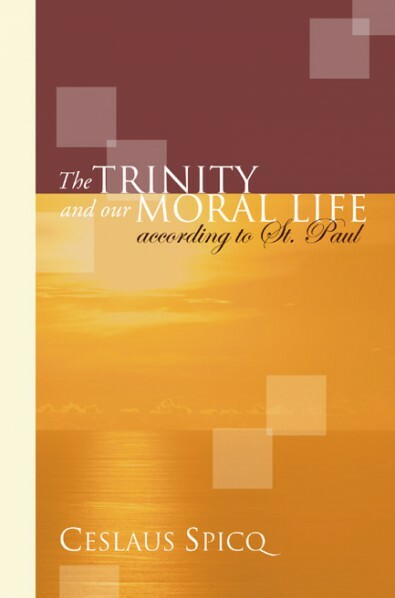 Chapter 5 of Ceslaus Spicq’s 1963 The Trinity and our Moral Life is entitled “The Beauty of the Moral Life,” and in ten little pages it draws together not only some of the key ideas of the book but some of Spicq’s deep immersion in the peculiar vocabulary of the pastoral epistles. I don’t think he was especially setting out to write an essay restricted to the pastorals; I suspect he was just so deep into a years-long thought project about them that their vocabulary came naturally to mind when he thought about this subject. And that unique vocabulary of Titus and the Timothies is one of the most interesting features of the pastoral epistles. The standard statistical analysis is telling: with a total vocabulary of 848 words (not counting names), the pastorals use 306 words not found in the other ten Pauline epistles, and 175 not found elsewhere in the NT at all. Those oft-repeated stats may be a bit inflated (consult Marshall’s ICC volume, p. 60 for some deflation), but the Paul of the pastorals definitely uses a different set of key words than he’s used in previous letters (consult Towner’s NICNT volume, pp 83-88 for reasons to stick to Pauline authorship despite everything). The fruits of this divine education can be nothing other than magnificently rich. When, in the evening of his life, St. Paul reflected upon Christian morality, whose main axes he had determined, he found it radiant with beauty. For him, to obey truth, to do good, to live in beauty were one and the same thing. This conception of moral beauty is rich in meaning; it contains the qualities of nobility, integrity, and glory, of perfection and completion; it is opposed to ugliness which is a characteristic of vice; finally it implies excellence –the beautiful is the perfect good, uniting order, measure, and harmony. It is not only appealing and attractive, but it is preferred before all else, and it is praiseworthy because it is good. “Adorn the doctrine” Paul says in Titus 2:10, just as he had said in Ephesians “walk worthy of the calling.” Adorn the doctrine of salvation by grace alone through faith alone (“not because of righteous works that we have done, but because of his mercy”) with suitable good works, with beautiful works.